On this Christmas Cruise, atmosphere is the magic word. On board, of course, but also in every place we'll visit. Christmas markets, skating rinks, cheerful lighting, music, and of course all sorts of goodies make this a Christmas to remember. You are welcome aboard the Rembrandt van Rijn, totally decked out for Christmas, from 08:00. At 09:30 we'll raise anchor and set sail for Cuijk, a town in Brabant, where we'll arrive in the course of the afternoon. The musician who will be with us for the whole trip will ensure a lively evening. We'll continue our trip towards Roermond during breakfast. 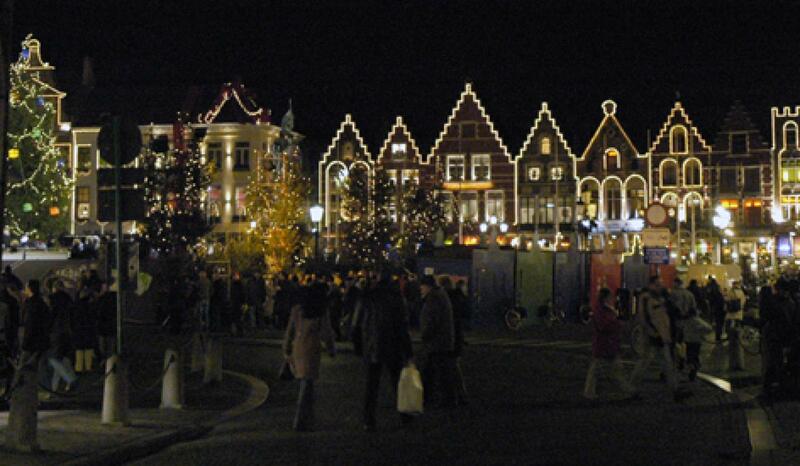 In the centre, the lively Munsterplein (Munster Square) has been transformed into an atmospheric Christmas market. 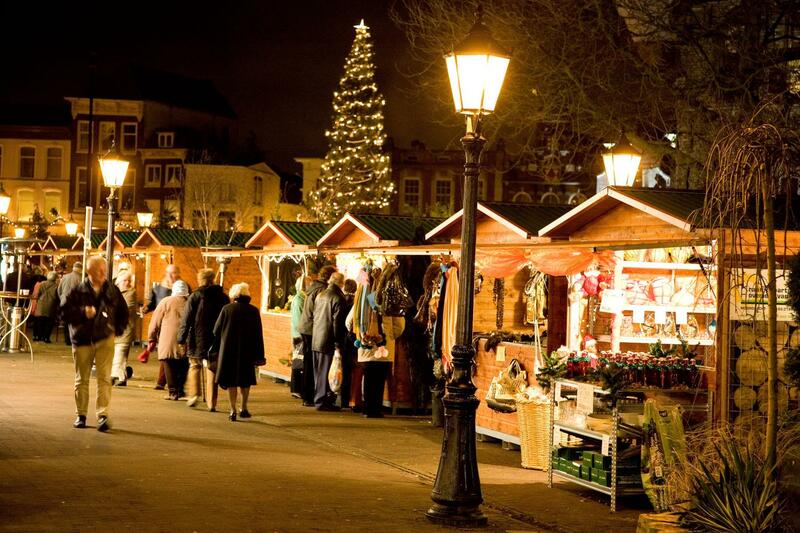 As well as an outdoor skating rink and a Glühwein (Mulled Wine) Bar, you'll find real wooden chalets, where all sorts of Christmas products as well as delicious oliebollen (doughnuts), waffels, and potato cakes are on offer. 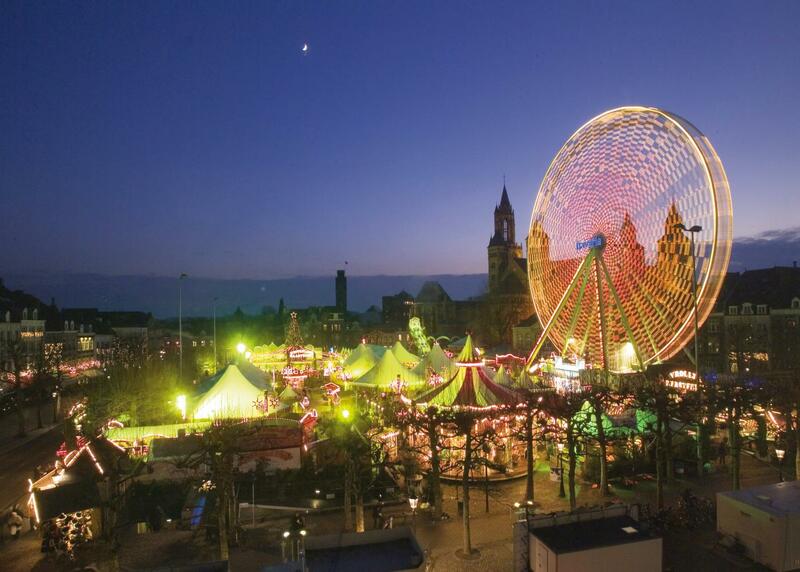 Maastricht is gearing up for the Christmas period. Festive lights adorn the city. The historic shopping area exudes the special Christmas atmosphere. On the Vrijthof Square you'll find a skating rink and many other attractions related to Christmas. During a tour(*) you will get a complete picture of this lovely city. 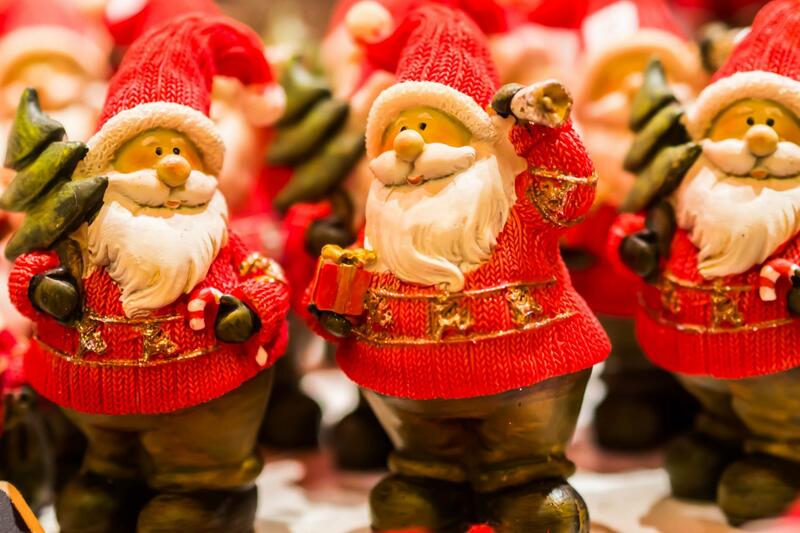 In Hasselt, the Christmas Village and the giant Christmas tree on the Molenpoortplein (Molenpoort Square) will put you in the Christmas spirit. 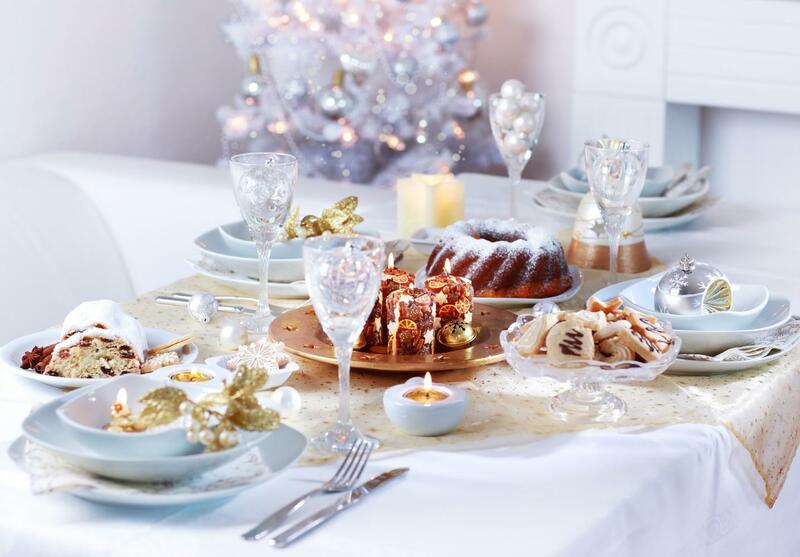 A delicious bite to eat and a drink, accompanied by Christmas carols sung by different choirs, make for an unforgettable day. We'll sail to the Burgundian city of Antwerp via the Albert Canal. 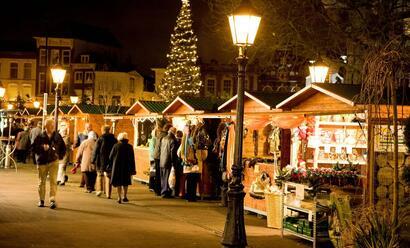 In December, it's wonderful to stroll through the Christmas village on the Groenplaats (Green Square). The lively Christmas music makes for a unique atmosphere in the medieval centre. The little train will pick you up at the ship for a nice tour through Antwerp(*). Afterwards you are dropped off in the centre of Antwerp so you can go explore Antwerp by yourself some more. We'll spend Christmas Eve and Christmas Day in Antwerp. On this special evening a midnight snack will be served. Today, the whole day is dedicated to Christmas. While you take a look around the nearby centre, the kitchen team will be busy preparing a wonderful Christmas dinner. To enhance the atmosphere we highly appreciate you wearing festive apparel. We'll sail towards Arnhem via the Nether Rhine, where we'll conclude this unforgettable Christmas trip at 14.00. 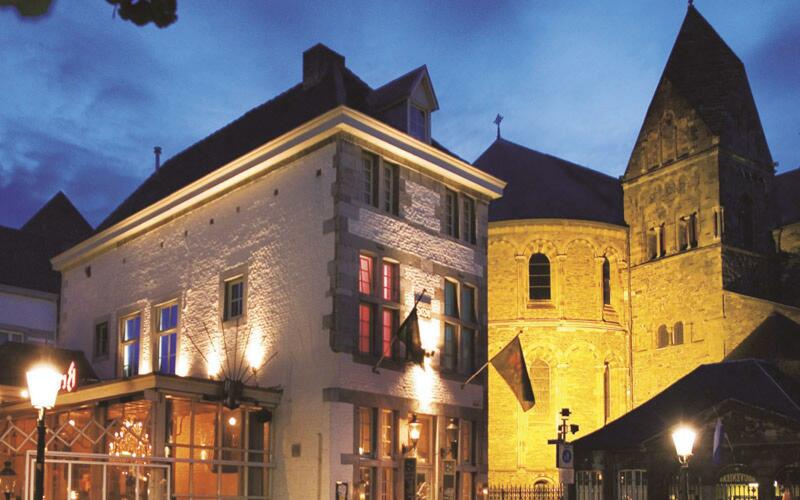 During this wonderfully relaxing trip you will see the best of the Netherlands and Belgium. From the typical Dutch landscape in Kinderdijk, to the grandeur of Antwerp and everything in between. Will you join us? If you want to combine the best that the Netherlands and Belgium have to offer, this is definitely the cruise for you. 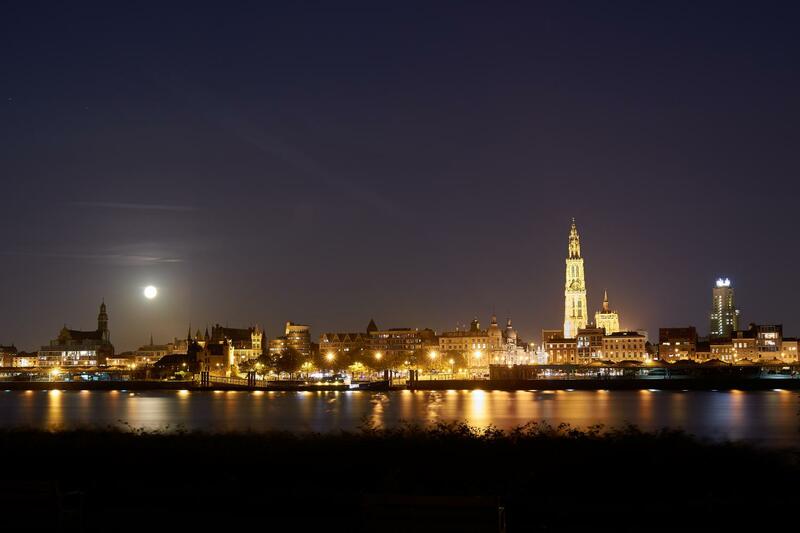 From charming Roermond to the stately and lively Antwerp, you won’t be bored for a moment! A holiday for connoisseurs and wine lovers, that’s how we can sum up this cruise. A combination of impressive large cities such as Düsseldorf and Cologne, and beautiful wine areas around Boppard and Cochem. A wonderful combination!